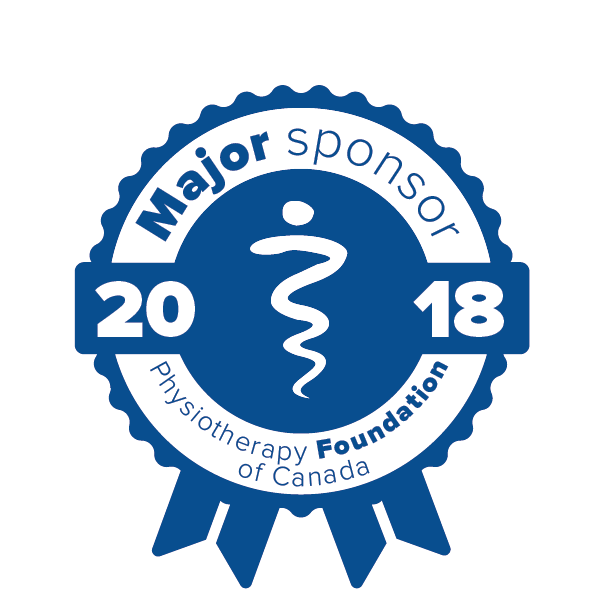 The Physiotherapy Foundation of Canada funds physiotherapy research and education in Canada to improve mobility, health and well-being. This would not be possible without the generous support of our PFC sponsors. Our mission is to improve the health, wellness and mobility of Canadians. OrthoCanada provides expert support to help healthcare professionals reach their goals by supplying advanced equipment and therapeutic solutions in the fields of physiotherapy, occupational therapy, exercise physiology and kinesiology. We are a team of dedicated, knowledgeable individuals who strive to find innovative solutions, exceed client expectations and excel at what we do. Johnson Insurance is a national insurance provider specializing in home, auto, travel, and group benefits. Since opening its doors 130 years ago, Johnson has grown into an industry leader and now provides insurance and group benefits to more than 450 groups and associations across Canada. The Ontario Physiotherapy Association (OPA) is a non-profit health professional organization with more than 5,500 volunteer members across the province. OPA is CPA's Ontario Branch. PracticePerfect Management & EMR software is designed to streamline clinic processes and provide key operational information giving staff more time to spend on business-building and revenue-generating opportunities. As Canada’s largest provider of community healthcare services, CBI is made up of over 13,000 physiotherapists, occupational therapists, registered massage therapists, kinesiologists, chiropractors, speech-language pathologists, psychologists, physicians, nurses, dietitians, behavioural therapists, administrators, and professionals. With the Advanced Physical Therapy Education Institute (APTEI), upon the successful completion of the 5 Advanced Certification programs plus the written & practical examinations, physical therapists will earn the title Advanced Musculoskeletal Physical Therapist (AMPT) and receive the APTEI “Diploma in Advanced Musculoskeletal Physical Therapy” (Dip. AMPT). Movement is life and life is movement. Nordic Pole Walking (NPW) has been proven more effective than regular walking. It gets people of all ages moving. At InsideOut Physiotherapy & Wellness Group, their experienced staff work together to diligently analyze the source of one's problem. They then incorporate useful strategies and tools such as NPW to help manage one's pain and rehabilitate effectively. Viscus is a therapeutic pedaling device designed by a Canadian physiotherapist specifically for conditions which require assistance to help turn the pedals. It utilizes the kinetic energy of a fast spinning flywheel to create a smooth active-assisted motion. It offers a variety of pedal designs for patients who have difficulty keeping their feet on the pedals. Viscus is ideal for acute hospital settings, long term care, and acute post operative conditions where motion is desirable. 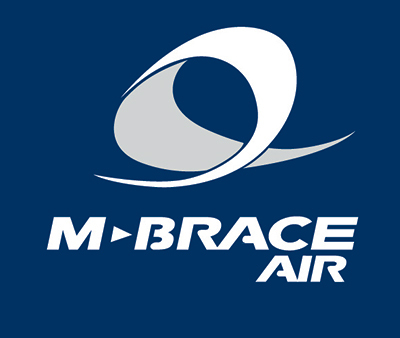 M-Brace introduces Tactee®, a set of assistive devices designed to restore autonomy and independence in daily activities of people with mono or bilateral functional grasping deficits that aims to improve their quality of life. The Tactee® magnetic system returns functional autonomy and independent in different daily activities such as eating, drinking, writing, etc., eliminating the caregiver who's been considered indispensable so far. Tactee® is available in a complete kit that contains both the magnetic adapter, spoon, knife, fork, multi-adapter and a set of extra padding. The School of Physical Therapy at Western University promotes excellence, leadership and innovation in physical therapy research, education and clinical practice, with an immediate focus on harnessing and growing our strengths in musculoskeletal health. The Physiotherapy Association Yukon, is a small but mighty branch of a non-profit health professional organization with 40 volunteer members in the territory. At MOS, we offer simple, unique and memorable products for athletes and nature lovers to escape without any compromise. Keeping in mind those guidelines, we have developed and conceived the MOS Rack, a car roof rack that lowers from the roof top, to the side mirror of the car, 61 cm lower. At MOS, we believe that car equipment storage needs to evolve, loading and unloading à bicycle, a kayak, a surf board or anything in the cargo box should not be out of anybody’s reach. People who aspire in living great experiences, exciting adventures and passionate sports seek for a roof rack as a way to carry all the equipment they need. Though, getting access to the gear should not be part of the sport. Our main goal with the MOS Rack is to build the handy roof rack, the rack that you can access as easily as the trunk. Let us maximize the experience, take the sport out storing your equipment and put it where it belongs, in the great outdoors. The Women’s Health Division (WHD) is a not-for-profit division of the Canadian Physiotherapy Association (CPA) that is managed, operated, and advanced by volunteers with a passion for women’s health. We are a dynamic organization, national in scope, that effectively facilitates communication, education and service delivery for physiotherapy practitioners on topics specific to women’s health. PhysioTools makes creating exercise programs quick and easy – provide your clients with the extra service that makes you stand out. PhysioTools offers 21,000+ exercises, evidence-based templates, plus free support and updates. Easily add your own content and templates. The annual subscription includes our mobile App that motivates clients to exercise. Wholesale Banking including TD Securities TD had CDN$1.3 trillion in assets on October 31, 2018. TD also ranks among the world’s leading online financial services firms, with more than 12 million active online and mobile customers. The Toronto-Dominion Bank trades on the Toronto and New York stock exchanges under the symbol "TD". The Toronto-Dominion Bank is a chartered bank subject to the provisions of the Bank Act (Canada). It was formed on February 1, 1955 through the amalgamation of The Bank of Toronto, chartered in 1855, and The Dominion Bank, chartered in 1869. Fitterfirst has been "Leading the World to Better Balance" with quality, innovative balance training gear and core stability fitness products since 1985. We encourage everyone, from children to working professionals to seniors, to practice Stability in daily living, to improve Agility at play and to enhance Mobility for life (S.A.M.). The Active Office™ concept is the solution to the traditional sedentary 9 to 5 work day. Work is an area of our daily lives that is in desperate need of a health wake-up call and we provide the means to introduce movement throughout the day. Using products such as a VARIDESK helps to create a dynamic work environment where movement is encouraged work is transformed from a health liability into a health asset. Meetings & Conventions PEI is a non-profit organization providing complimentary meeting and event planning solutions to anyone with potential to bring a meeting or event to Prince Edward Island. The School of Physical Therapy at Western University promotes excellence, leadership, and innovation in physical therapy research, education and clinical practice, with an immediate focus on harnessing and growing our strengths in musculoskeletal health. RockTape is a global leader in sports medicine products and education, RockTape helps patients and athletes “go stronger, longer®” with the world's best kinesiology tape, powerful pain-relieving topicals, unique evidence-informed education seminars, mobility tools and joint support accessories. Functional Movement Techniques (FMT) Certification courses are led by industry leading experts in movement assessment and therapy. FMT courses present a revolutionary way of thinking about how we move and how we injure. They integrate innovative mobility and stability strategies, along with a movement-based; practical kinesiology taping framework – to deliver RESULTS. UNLOCK YOUR MEDICAL PRICING at rocktape.ca and get up to 50% off + exclusive benefits. We’ve worked hard to earn the trust of practitioners across the globe. We hope you join the thousands of others who’ve chosen RockTape. Proudly Canadian since 1979, GoodLife Fitness is the largest fitness club chain in Canada and the fourth largest overall in the world. With over 400 clubs from coast-to-coast, including GoodLife Fitness, Fit4Less by GoodLife and ÉconoFitness Clubs, approximately 12,100 employees and more than 1.5 million members, GoodLife is helping to transform the health and wellness of 1 in 25 Canadians. The Pain Science Division is a special interest group of the Canadian Physiotherapy Association that serves physiotherapists who have an interest in better understanding and managing pain and in connecting with likeminded clinicians, educators and researchers. Our Vision is for Canadians with pain to live better with the help of physiotherapy. Since 1995 in Quebec, SET has been a leader in the field of Functional Electro-TherapyTM. We collaborate with a few hundreds of health care clinics such as: Physiotherapy, occupational therapy, chiropractic, private and public medical, rehabilitation centers, Private and Public Pain Clinics, University and Regular Hospital Centers and much more. This year alone, our high quality electrotherapy devices and our home training helped over 3 000 patients manage their pain outside the clinic and gain optimal functional performance. Over the next few years we will be expanding across Canada, visit our web site to learn more about us and our PATIENT FIRST mission! When CPA members were asked in a 2018 survey if they would be more likely to purchase a product or service over another if they knew the organization donates to PFC, 62% said yes. 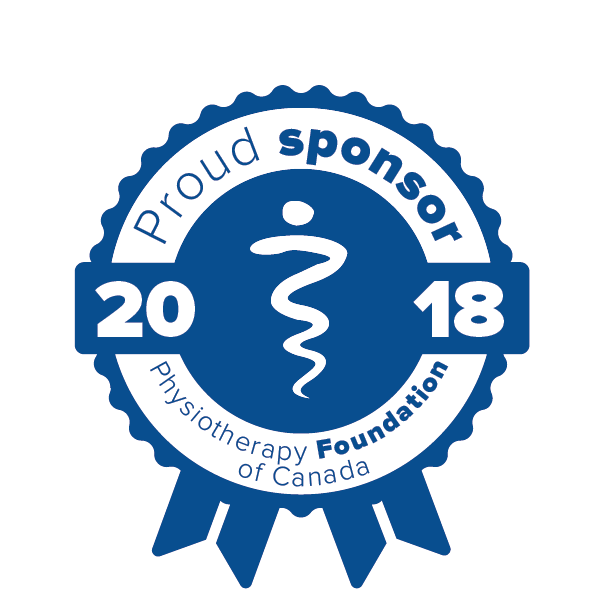 Display your PFC digital badge on your company’s corporate responsibility page to show your dedication to supporting physiotherapy research and education. If you are interested in becoming a PFC sponsor, please send an e-mail to Kerry Kittson at foundation@physiotherapy.ca.